I don't leap, skip, prank, or "frivol." So, obviously today we are talking about food, specifically the caper bud. He brought her gifts all the things that he had come to know and love in the forest and from the open steppes; wild cucumbers and cassia melon, grapes and figs and caper buds from the dry rocks. He brought her blossoms of golden mimosa and fragrant branches of jasmine. Gilgamesh might have been playful, frivolous, and carefree, but when he sought to entice the woman of his desire, he gifted her with cucumbers, melons, grapes, figs, and caper buds. A wise man was he. 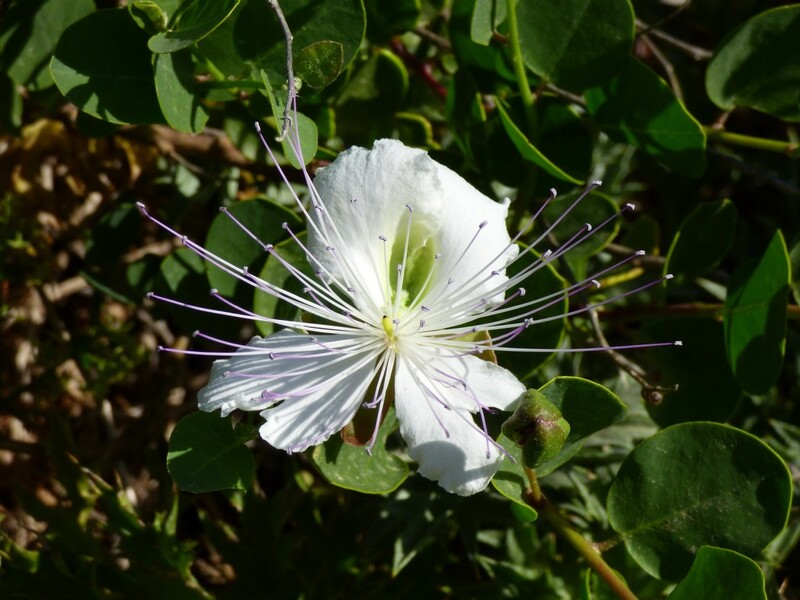 He recognized the value of these strange-looking, salty, pea-sized buds of the Capparis spinosa, a low-growing shrub native to arid regions in the Middle East and Mediterranean basin. The name “spinosa” is a valuable hint to the physiology of these treasures. The plant from which the tiny flower buds are plucked is prickly, and the painstaking work can only be done by hand. Because the buds develop and fade quickly, the harvesting process must be conducted on a daily basis. They are then dried in the sun. Capers are not naturally sour; to obtain the briny/salty flavor for which they are famous they must be cured in seasoned vinegar, a process that been used for thousands of years. Pedanius Dioscorides was born in Cilicia, Aisa Minor (present day southeastern coast of Turkey) in 40 A.D. He studied medicine at a nearby school in Tarsus. (Biblical scholars will recognize that name as the birthplace of Saul, later St. Paul). The given name Dioscorides is Greek, but Pedanius is a Roman name; therefore we assume that a Roman of that name sponsored him to become a Roman citizen. Trained as a physician and botanist and employed by the Roman army as a medic, he is most famous as the author of De Materia Medica , a 5-volume encyclopedia about herbal medicine. Diosciodes mentioned the Capparis spinosa often in his writings. 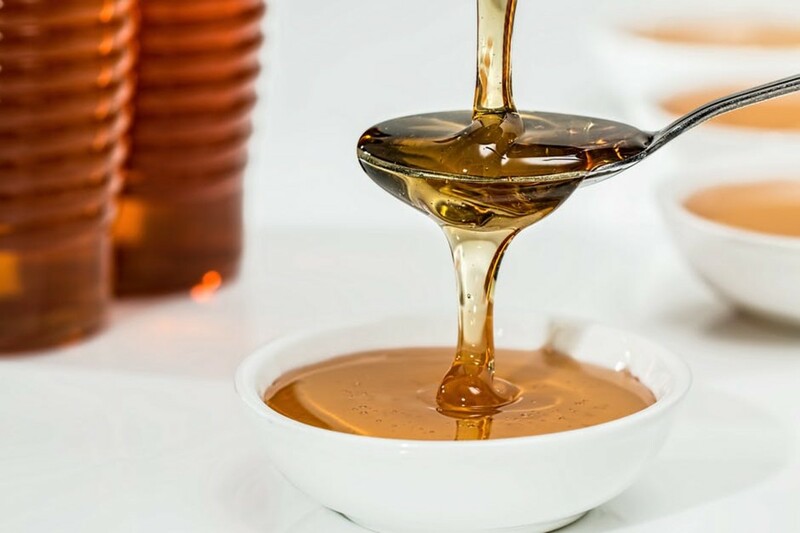 Greeks and Romans alike highly regarded the fruits as an aid in digestion. But Now We Use Them in Cooking for Fun and Flavor! What's so good about capers? 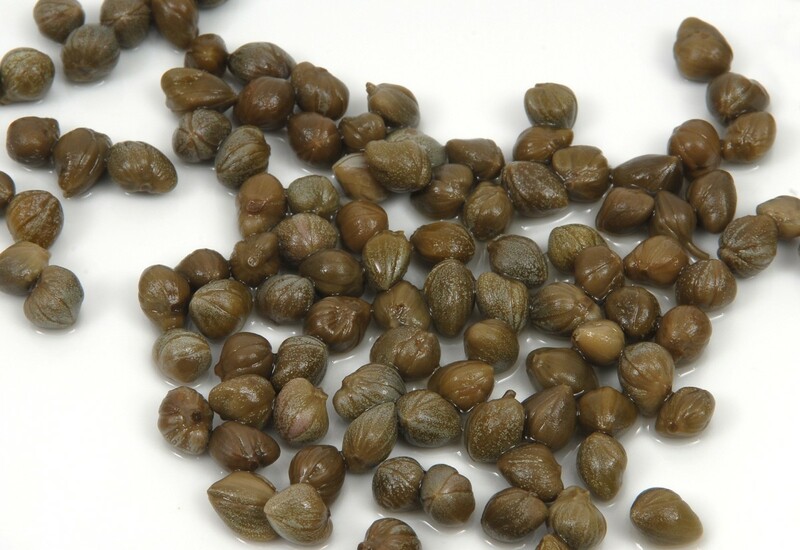 If you like briny, pickley, puckery flavors you will love the taste of capers. Sometimes, despite our best efforts, we find that a pasta sauce, salad, or main dish falls flat. It seems to be lacking "something" that we just can't put our finger on. Don't reach for the salt and pepper shakers. Maybe all you need is a tablespoon of capers. Yes, they are salty, but they also have a sour/umami flavor that can help brighten that otherwise ho-hum dish. 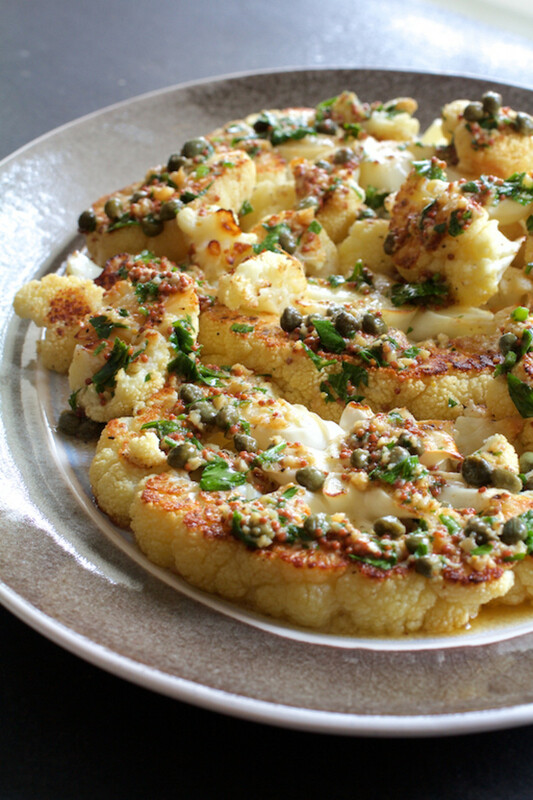 If you don't want your family or guests to actually see the capers, simply mince them up. No one will be the wiser. Here we abandon mayonnaise and sour cream but gain tons of bright flavor from lemon, capers, and fresh parsley. Place potatoes in large pot with lid. Cover with water and bring to a boil over medium heat. Turn heat to low and simmer until potatoes are tender (a sharp knife inserted in the middle of the potato will enter easily). Drain the potatoes and place on chopping board. Let sit a few minutes until cool enough to handle. Remove the skins from the potatoes. They should slip off easily with the tip of a knife. 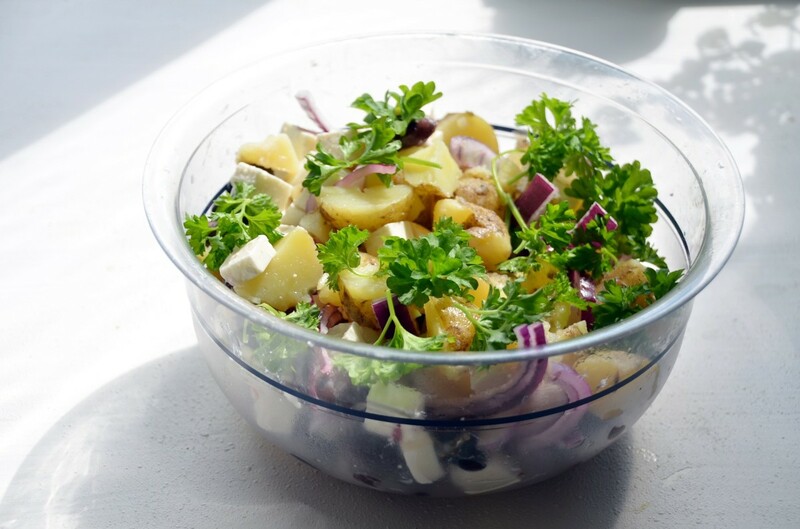 Chop the potatoes and place in a large bowl with the sliced red onion. Whisk together the lemon zest, dry mustard, olive oil, lemon juice, and capers. Drizzle over the still warm potatoes. Toss to coat. Add black pepper and toss again. Just before serving stir in chopped parsley. Salad can be served chilled or at room temperature. Garnish with feta cheese if desired. Suzy created the The Mediterranean Dish as the top source for Mediterranean recipes and Mediterranean diets. But, let me share her words with you for a full explanation of her mission for this blog. When you think Mediterranean, tasty foods from places like Italy and Greece come to mind. But the coastline of the Mediterranean Sea extends far beyond. 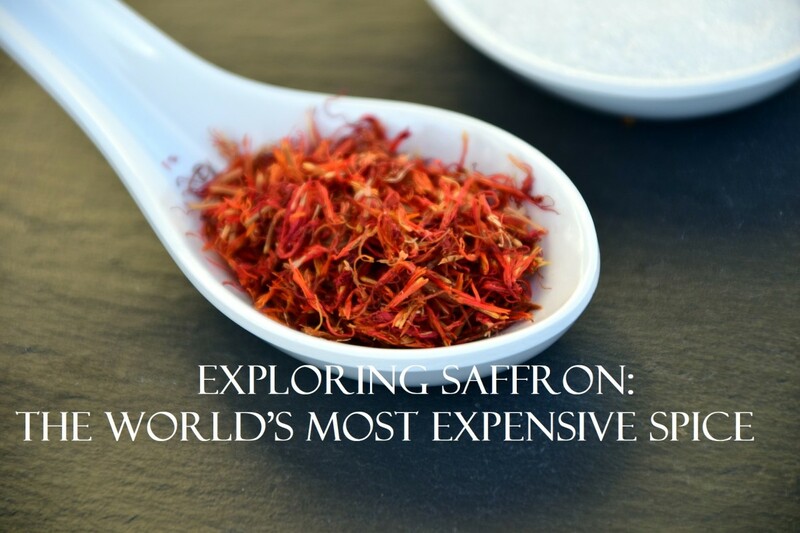 The Mediterranean Dish is a personal food blog dedicated to celebrating flavors of the Mediterranean from Europe to North Africa and the Eastern Mediterranean (The Holy Land). I am not completely familiar with every Mediterranean recipe, but I am so excited to go on this journey. I hope you’re up for it as well! 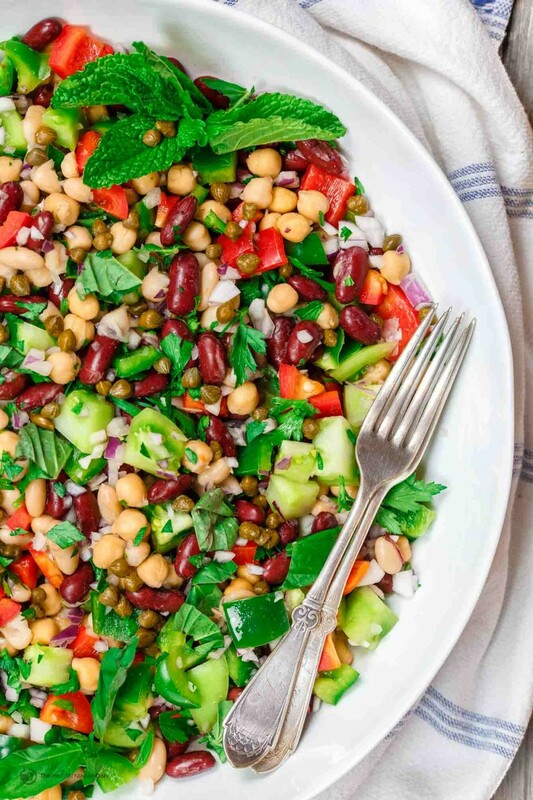 Her Mediterranean three-bean salad is fresh, colorful, and full of flavor. Need I say more? Jen and Beau live in Vero Beach, Florida. They love fishing, salt water, and being outside (if you live on the coast of Florida and DON'T love those things, you don't deserve to be there). And, they have created a neat food blog which they named SoDamnDelish where they share recipes that are simple, basic, and do-able by anyone. 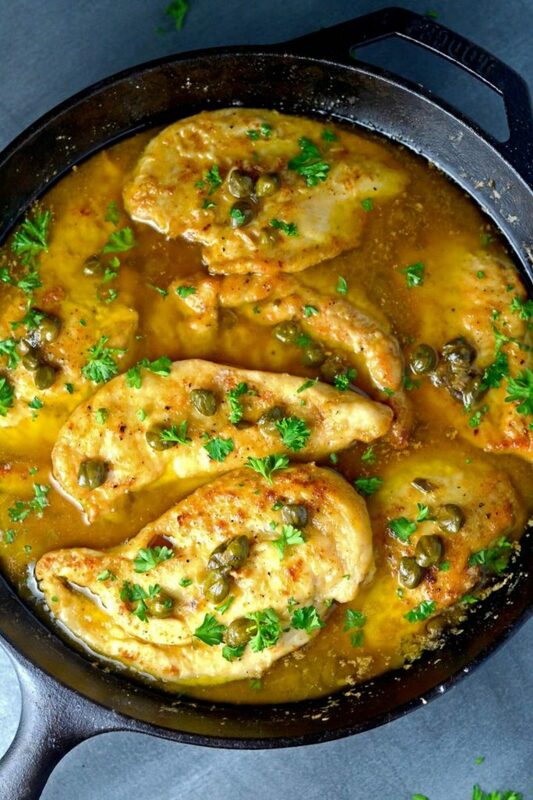 Their recipe for Chicken Piccata is (in their words and mine) the Best Chicken Piccata Recipe Ever. 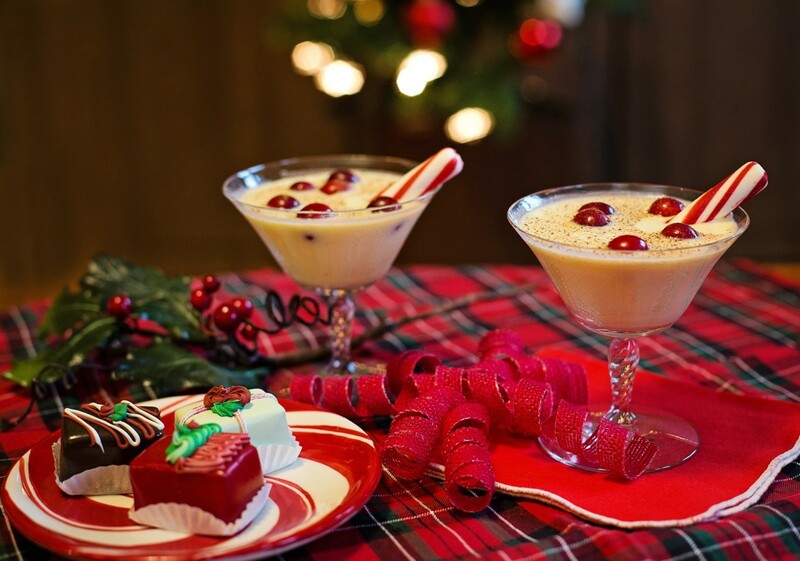 Carol is a personal chef, former newspaper columnist, recipe develop, photographer, and "obsessed cookbook collector." She used roasted cauliflower steaks in place of chicken breasts in this wonderful vegetarian version of chicken piccata. 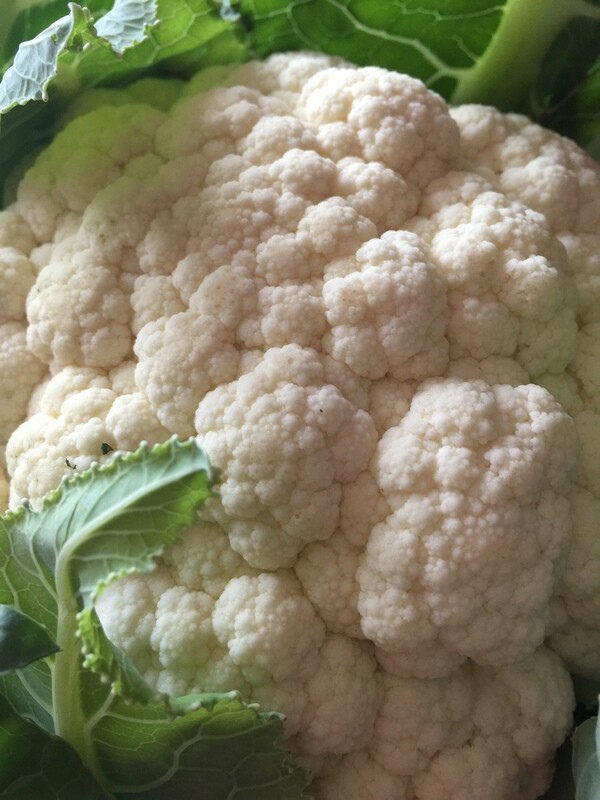 A while ago I found myself in the midst of a vegetarian kerfuffle! My daughter is a devout (I'm not exaggerating) vegetarian, but she still pines for the taste of foods she enjoyed in her childhood. There are many manufacturers of protein substitutes that mimic the taste and texture of beef or chicken, and most are very good. However, there are few if any products that reproduce the taste of seafood. Canned tuna is one of those food loves my daughter still craves, and so I set out to find a way to replicate the taste and texture of tuna salad without killing a fish. Place the tempeh in a steamer basket. Steam over simmering water for 20 minutes. Remove from basket and set aside to cool (about 30 minutes). Grate tempeh on large hole side of a box grater or chop finely. Place in mixing bowl. Add remaining ingredients and toss lightly. Taste for seasoning and add salt and/or ground pepper if desired. You may use immediately, but I think this "tuna salad" tastes better if the flavors are allowed to meld for an hour or more in the refrigerator. According to Wikipedia, tempeh is a soy product that is originally from Indonesia. It is made by a natural culturing and controlled fermentation process that binds soybeans into a cake form, similar to a very firm vegetarian burger patty. Tempeh begins with whole soybeans, which are softened by soaking, and dehulled, then partly cooked. What makes this recipe work? Unlike tofu, tempeh has a firm, meaty texture which, when grated, better replicates the mouth-feel of canned tuna. Many of the flavors that we enjoy in tuna salad are ingredients other than the canned tuna. Creamy mayonnaise, crisp celery, tangy dill pickle, a bit of pungent minced onion--these are the things of which a good tuna salad is made. What to do with mock tuna salad? make a traditional tuna salad sandwich--white or whole grain bread, tuna salad, fresh lettuce leaves, sliced tomato (optional), and perhaps a smear of Dijon mustard. Create a salad by placing an ice-cream scoop of "tuna salad" on a bed of salad greens. Surround with grape tomatoes, black olives, sliced hard boiled egg, avocado slices, chopped walnuts, and drizzle with your favorite salad dressing. Spread "tuna salad" on a slice of rustic bread. Top with a slice of cheese and another slice of bread. Grill or toast in a panini press. 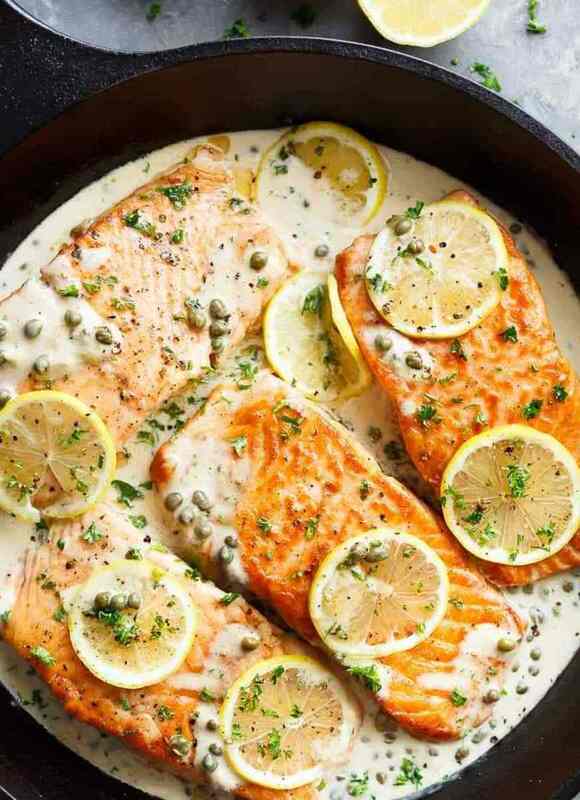 If fish, specifically salmon is your thing you will enjoy this salmon with creamy lemon garlic sauce created by Karina for her blog CafeDelites. I live in the Pacific Northwest where fresh salmon is wild (not farmed), rich in nutrients, and sustainable. 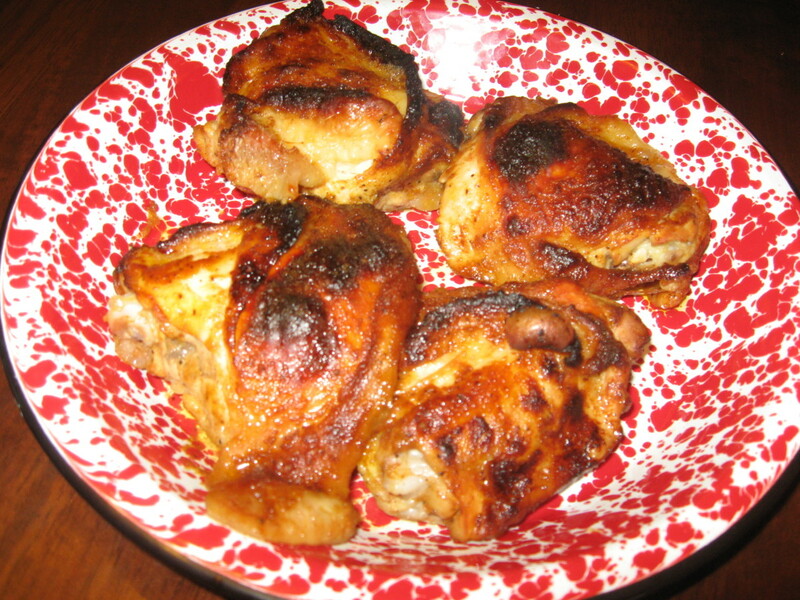 My family loves this dish, and I hope you will give it a try. Make the vinaigrette: Put the shallot in a small bowl. Add garlic, salt and pepper and cover with red wine vinegar. Macerate 10 minutes, then whisk in olive oil, chopped anchovy and chopped olives. Cut each tomato crosswise into 2 thick slices. Place slices on a platter in one layer and season with salt and pepper. Season cherry tomatoes with salt and dress with vinaigrette. Spoon cherry tomatoes and vinaigrette evenly over tomato slices. 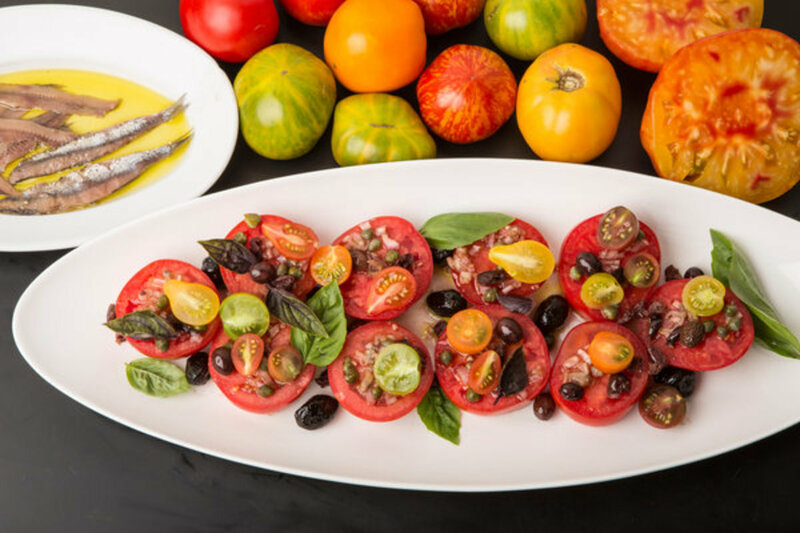 Top each tomato slice with half an anchovy filet, then sprinkle with capers. Garnish with basil leaves and whole olives. Serve at cool room temperature. Exploring Onions: Why Most Recipes Instruct Us to "Chop One Onion"
Is That Honey You’re Eating Real? Well, Eric I'm surprised (but lovin' it). I had wrongly assumed that your Mex/Vietnamese fusion would not find room for capers. Glad you found this, and enjoyed. Yes indeed I did miss this wonderful morsel of a hub. As I think I have told you my youngest daughter and son and I just like our vegetables raw. And although I sometimes cook with the the capers I have to admit, we too often just open the jar and eat them as they are. Lori - I'm surprised that you are not already a "capers" kinda girl. Try them with some Pacific salmon--yum! I don't know if my family considers themselves lucky, although my husband boasts that we don't spend money eating out LOL. I hope you have a wonderful 4th. I've heard of capers but never knew what they were. I'll have to try them. I'm starving so the photos made me drool. Your family is very lucky to have you cooking for them. Victoria Lynn - You are so very welcome. Capers are so briny I really don't know how they could spoil. But, I did have a jar of pickles go moldy. I wrote to the company and they blamed me, saying I must have introduced a contaminant. (Eye roll). And then they followed up 3 days later with a coupon for 2 free jars. I have used capers before, but the last time I got them, they seemed to spoil quickly, and thus the flavor turned me off. Maybe it was the brand? Or maybe I just had them for too long. I need to try them again! They're great in salads and on fish, for sure. I need to mince them and try them in pasta sauce. I think they would provide an interesting splash of flavor! Great hub. Thanks for the recipes! Mary - I just looked it up--they require intense heat and lots of sunshine, and temps that never fall below 20 degrees F. But, even if you are able to cultivate your own, I would be at a loss for how to pickle them to obtain the taste you need/want in a caper. I'd say grow it as a bush just for the fun of it, but go to the store and purchase a jar if you want to actually eat them. I so very much appreciate you; you always leave wonderful comments which add to the value of the article. Blessings to you this day. I should really incorporate these into my cooking. I have seen them in the store. I wonder if I can grow them here, I'll need to look into this. In Portuguese the name for thorns is espinho, so it is very close to the name of spinosa. As always, you've given me a lot of ideas to elevate my cooking to another level. Hi Flourish - I'm so glad you visited today. I'm surprised at how many people have not explored capers. Believe me, they are wonderful. I hope you'll give them a try. I have heard of them but until now didn't know what they were or how to use them. Your recipe selection is divine. Bill, frankly you surprise me. I was certain you would give me a big thumbs down on this topic. I'm glad to hear that you would be willing to give them a go. Grill some fish on the 4th, toss on a few capers. You won't be disappointed.